^ Population. Statistical Yearbook 47 (2011). Central Department of Statistics & Information. [15 November 2013]. （原始内容存档于2013年12月1日）. ^ Miller, David. Saudi Arabia opens world's largest women's university. The Jerusalem Post. [17 January 2012]. ^ Sonbol 2012, p. 99. Craze, Joshua. The Kingdom: Saudi Arabia and the Challenge of the 21st Century. Hurst Publishers. 2009. ISBN 978-1-85065-897-9. Cybriwsky, Roman A. Capital Cities around the World: An Encyclopedia of Geography, History, and Culture. ABC-CLIO. 23 May 2013. ISBN 978-1-61069-248-9. Elsheshtawy, Yasser. The Evolving Arab City: Tradition, Modernity and Urban Development. Routledge. 27 May 2008. ISBN 978-1-134-12821-1. Facey, William. Riyadh, the Old City: From Its Origins Until the 1950s. Immel Publishing. 1 January 1992. ISBN 978-0-907151-32-6. Farsy, Fouad. Modernity and Tradition: The Saudi Equation. Routledge. 1990. ISBN 978-0-7103-0395-0. Ham, Anthony. 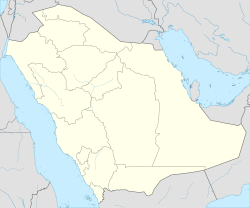 Saudi Arabia. Lonely Planet. 2004. ISBN 978-1-74059-667-1. Jordan, Craig. The Travelling Triathlete: A Middle – Aged Man's Journey to Fitness. AuthorHouse. 2011. ISBN 978-1-4670-0081-9. Sloan, Stephen; Anderson, Sean K. Historical Dictionary of Terrorism. Scarecrow Press. 3 August 2009. ISBN 978-0-8108-6311-8. Sonbol, Amira. Gulf Women (English edition). Bloomsbury Qatar Foundation Publishing. 29 March 2012. ISBN 978-99921-94-84-3.